Disclosure: If you make a purchase via a link in this newsletter, I may receive a small commission, and as an Amazon Associate I earn from qualifying purchases. See the Disclosure page for more information. Thank you! I've just made this guide available to new newsletter subscribers but I wanted to make sure you got a copy too. I hope it provides you with some useful tools to help with training your Aussie. A dog rain jacket can really come in handy when the weather gets wet and miserable. Dogs still need to get out even in rain and snow. Why not keep your them dry and happy with a waterproof dog raincoat? CBD oil for dogs, otherwise known as cannabidiol, may help to ease a number of symptoms of various illnesses. 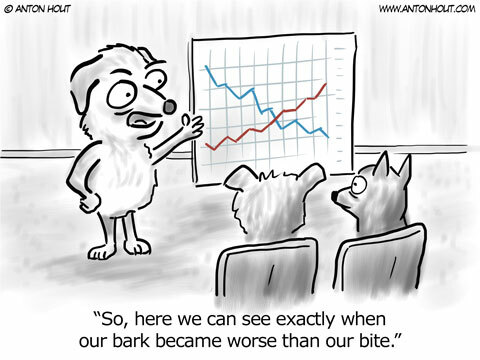 Let's take a closer look at the potential benefits to your dog's health and wellbeing. Hemangiosarcoma is a deadly form of cancer that is most common in dogs, though it may also affect other kinds of animals as well. It is a form of cancer in dogs that is particularly aggressive. 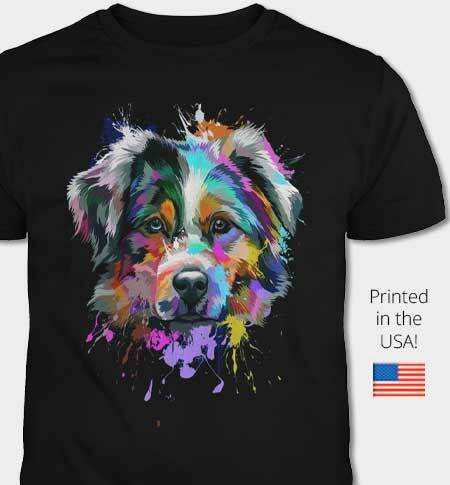 While the Australian Shepherd is the star of this website, many of our readers have Minis (technically a separate breed) or an Aussie mix. Learn more and create a page about your Aussie mix or Mini here. Australian Shepherd Training & Care Ebook! 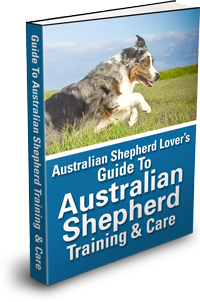 For those of you who are not familiar with our ebook, Guide To Australian Shepherd Training & Care, it's a guide that has proven popular with our readers and includes hundreds of photos submitted by fellow Aussie Lovers like you. Note: The ebook is not available in printed format. It's available in PDF format so that it can be updated at any time (you are entitled to all future updates). There's no waiting and no shipping/handling fees. You get download access immediately after ordering so you can get started right away. The ebook version can be viewed on any computer, tablet, or device as it is in the common PDF format. The book cover graphic above is for illustrative purposes only. 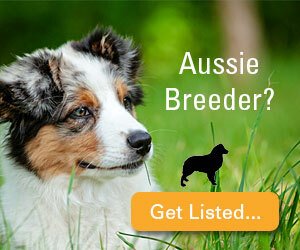 Get Listed In The Breeders Directory on the #1 Aussie Site on the web!